Some people may have missed it, but a demo for Guitar Hero Smash Hits was released on Xbox Live Arcade during E3. Containing three tracks; Franz Ferdinand’s “Take Me Out,” Wolfmother’s “Woman” and Kiss’ “Rock and Roll All Nite.”, rockers can get a taste of the upgraded "classic" songs from previous Guitar Hero titles. 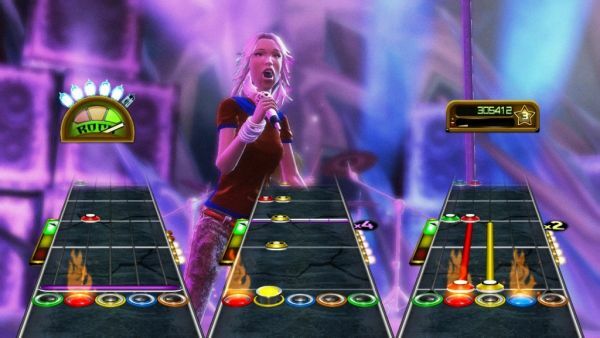 Guitar Hero Smash Hits is being released on the Xbox 360, PlayStation 3 and Wii this week. The game includes almost 50 tracks from previous Guitar Hero titles, all master tracks. Yes, even tracks that weren't master tracks before. If you want to vote on your favorite Guitar Hero songs, riffs, moments, and more you can head on over to the official website and cast your vote in the 2009 Guitar Hero Smash Hits Awards. Which Guitar Hero Smash Hits Setlist Should Be Revealed First? Page created in 0.5105 seconds.